Psychoanalytical pedagogy became an exceptionally productive critical social reform movement in the 1920s and 1930s. Until it was repressed by fascism, the "social locus" (Bernfeld) of this movement was first and foremost in Vienna. Most of the psychoanalytical pedagogues escaped successfully into exile, primarily to the United States. There they were able to preserve their tradition, in spite of the dominance of "medico-centrism" (Paul Parin) in the United States, until they ventured back to German speaking countries at the end of the 1960s. Among the most important of the Viennese psychoanalytical educators was Edith Buxbaum (1902-1982), a cousin and friend of Bruno Bettelheim and one of the first child analysts. Today she is almost forgotten. In Vienna, Edith Buxbaum distinguished herself with exceptional courage in the struggle against fascism. The following discussion will trace her biography, her close friendship with Bruno Bettelheim and her work in Vienna, New York, and Seattle. This study will be appended and amplified with short biographical sketches of all important psychoanalytical pedagogues who immigrated to the United States before the Anschluss of Austria by Nazi Germany. All of them were either members of the Viennese Psychoanalytical Association or were enrolled in the curriculum for educators in 1937-38. In conclusion, I will mention several American psychoanalysts and educators, almost all of them lay analysts, who came to Vienna in the 1920s and 1930s in order to acquaint themselves with psychoanalysis and its educational and social applicability. Their engagement and personal courage enabled them to participate successfully in transferring Viennese psychoanalytical pedagogy, primarily to the United States. "Bettelheim: It seemed, at that time (in Vienna) so improbable that psychoanalysis would become such a public interest, and we have so many adherents. At the time, it was a very small group when I came to it, maybe 20 people or thereabout, who formed this international psychoanalytical association. They all knew each other. They were friends sometimes enemies. But it was a small group, an esoteric group, if you like. (...) Psychoanalysis was seen by ist practitioners to be much broader than just working with individual psyches. More than anything, it was seen as a humanistic movement. (...) Though Freud had a certain skepticism about the effectiveness of psychoabnalytic therapy, he never had any doubt that psychoanalysis would lead to a deeper understanding of the human psyche and human intellectual life, in which he was very, very much interested. (...) It was a human movement, a humanistic movement more than anything else. It was not a medical movement. Ekstein: Correct. Freud invested some of his private money he had in his journals. Bettelheim: It was a pioneer movement. Ekstein: We thought of each other to be a pioneer. In his preface to August Aichhorn's famous study, "Neglected Youth," Freud offered the above assessment of the use of psychoanalysis in education. Although Freud published only a few texts in which he referred to his own therapeutic work with children, he energetically supported the emergence of psychoanalytical pedagogy. It was, therefore, no coincidence that his youngest daughter, Anna Freud (1895-1982), became one of the most important pioneers of psychoanalytical pedagogy. Although this socially critical reform movement developed especially in Vienna an extraordinary productivity in the 20's and 30's of the last century, e.g. through The Journal of Psychoanalytical Education (Zeitschrift für pychoanalytische Pädagogik),1926-1937, its tradition is today almost forgotten. It was blotted from our consciousness through fascism, which not only forced its representatives into exile, but also murdered several psychoanalysts in German death camps. Only a few immigrants were able to preserve, especially in the United States, traces of this progressive tradition and attempt to re-introduce them at the end of the 1960's to German speaking areas (Kaufhold 2001). We remind the reader that we know today twenty five psychoanalysts who were victims of National Socialism, among them are Alfred Bass (1867 - 194? Getto Lodz), Adolf Deutsch (1867 -1943 Getto Theresienstadt), Margarethe Hilferding (1871 - 1942 Getto Theresienstadt/Maly Trostinee), Salomea Kempner (1880 - 194? Getto Warschau), Karl Landauer (1887 -1945 KZ Bergen-Belsen), Alfred Meisl (1868 - 1942 Getto Theresienstadt), David Ernst Oppenheim (1881 - 1943 Getto Theresienstadt), Isidor Sadger (1906 - 1942 Getto Theresienstadt), Nikola (Nicolaus) Sugar (1897 - 1945 Getto Theresienstadt), Otto Brief (Ausschwitz), Paul Hoffmann, Paul Bernstein, Blaßberg, Therese Bondy, Geza Dukes, Josef M. Eisler, Miklos Gimes, Erzsebet Petö-Kardos, Janos Kerenyi, Laszlo Revesz, John F. Rittmeister, Sabina Spielrein und August Waterman (s. Kaufhold 2001, S. 268). Edith Buxbaum (1902-1982) was one of the most important Viennese psychoanalytical educators. She was born on April 20, 1902 as the only child of Jeanette Seidler Buxbaum (1879-1962) and Samuel Buxbaum (1866-1934), both Jewish business people. She was a cousin of Bruno Bettelheim (1903-1990) who was a year younger than she and his closest childhood friend. Buxbaum's mother was the sister of Bettelheim's mother (see Raines 2002, 21). In her unpublished memoir, written shortly before her death, Buxbaum wrote about her friendship with Bettelheim: "We grew up as if we were siblings (. . . ) Bruno and I were very close. (Sutton 1996, 65). Bettelheim himself described their close sibling-like friendship: "We became not just good friends but extremely close friends. (Raines 2002, 21); see also Hermann 1993, 35, 60f). Their apartments were only a short walk from each other; Buxbaum's apartment became a second home for Bettelheim. Edith Buxbaum lived until 1910 or 1911 in Vienna, then moved to Prague for three years and returned to Vienna shortly before the outbreak of the First World War (Schwartz 1978, 2). During the Viennese years Buxbaum's closest friend was the psychoanalyst Annie Reich, née Pink) (1902-1971), the wife of Wilhelm Reich. In 1922 Buxbaum had acted as witness, along with Otto Fenichel, at the wedding of the Reichs. Buxbaum, along with Annie and Wilhelm Reich, Bettelheim, and Otto Fenichel became an activist in the Austrian Youth Movement (the so-called Jung-Wandervogel) as well as in the peace movement against the First World War. The pacifist commitment of the fourteen-year-old Buxbaum began when Annie Reich's brother died in the war. They all went on hikes in the Vienna Woods, energetically discussed social reforms, youth movements, sexual liberation and sang folk song together-- on occasion even revolutionary anthems. Bettelheim had joined in 1915 the Viennese Wandervogelgruppe, which included supposedly one hundred youths, after Edith Buxbaum invited him (Raines 2002, S. 21, Sutton 1996, S. 71). (Other members were Hans Willig and Walter Neurath, Bettelheim's school friends who remained Bettelheim's personal friends.] Buxbaum notes that at the age of thirteen she read in the context of her involvement in the youth movement Freud's works, including The Interpretation of Dreams, (". . . and I internalized it for years to come.") as well as his recently published Introductory Lecture to Psychoanalysis (of course everybody read that.). Today, we would define her involvement in the socialist-pacifist youth movement as a formative psycho-social moratorium which empowered them to emancipate themselves from parental influence (see Sutton 1996, 71; Hermann 1993, 30). "EB: Well, I became acquainted with analysis in this Youth Movement. LS: So this was extremely important for your own development. Bettelheim: "The first books that had an actual liberating effect on me contained critiques of the existing educational system; they supported my conviction that there had to be better educational methods for young people. I can't recall precisely if I became conscious of the liberated school community, founded by Gustav Wyneken, before or after my joining the Wandervogel, the left wing Viennese youth movement. "The Slogan of the Jung-Wandervogel was the acronym ADEA, meaning "subscribe to the beginning" [Anfang]. Der Anfang [The Beginning] was the magazine of this school reform movement. Indeed, I became a subscriber! " The magazine der Anfang was edited by Siegfried Bernfeld and published, among others, Walter Benjamin (see Fallend/Reichmayr 1992, 17). Let us return to Edith Buxbaum. She attended the Realgymnasium for girls located in the eighth district of Vienna. Across the street, in the Albertsgasse, Bettelheim attended the Bundesrealgymnasium, only a ten minute walk from his home. They helped each other in preparing for examinations in mathematics and Latin. Alongside Annie Reich, Edith Buxbaum successfully passed her Abitur; Bettelheim followed a year later in July 1921. However, Buxbaum did not specialize in psychoanalysis; instead she majored and graduated in history (Helfgott, 2002). She attended several lectures with Bettelheim; their childhood friendship was inseparable. After her graduation, she became a secondary school teacher in Vienna from 1926-1936. For about three years she was thus able to finance her analytical education, first with Herman Nunberg (1884-1970) and then, starting in 1935, with Salomea Gutman-Isakower (1888-1974). At the same time, her friend Annie Reich took her analytic training with Wilhelm Reich. Edith Buxbaum became a member of the seminar for child analysis, founded by Anna Freud in 1927. Also participating in the seminar were a number of American women who had come to Vienna in order to acquaint themselves with psychoanalysis - a fortuitous circumstance which contributed considerably a few years later to the "partial" survival of psychoanalysis and psychoanalytical education of the exiles in America (Kaufhold 2001, Mühlleitner/Reichmayr 2003 78, Aichhorn 2003a,b,c; Wirth 2003). During her course of study Buxbaum attended courses at the Viennese Psychoanalytic Union and presented her first paper to the organization in April 1931.Her topic, "Responses to Question Periods in the Classroom," was clearly based on her experience as a teacher. Politically she was very progressive and engaged in her work for the "Socialist Society of Sexual Counseling and Sexual Research," founded in 1928 by Wilhelm Reich and Marie Frischauf, and, starting in 1930, in her work for the "Proletarian Sexual Counseling Center." At the same time she educated teachers in the skills of psychoanalysis and headed a working community for use of psychoanalysis in applied pedagogy. She specialized in children's analysis and published several essays in The Journal for Psychoanalytical Education (Zeitschrift für psychoanalytische Pädagogik) between 1930 and 1939: "Analytical Commentary about the Montessori Method" (1932, 6, 324-333); "Expressions of Anxiety by School Girls in Adolescence" (1933, 7, 401-409); "The Role of Detective Stories in the Analysis of a Child" (1936, 10, 113-121). Her psychoanalytical-pedagogical monograph, "Problems of Mass Psychology in the Classroom," was published in 1936. The arrest and month-long jail term of Buxbaum as well as the short-term jailing of the analysand Marie Langer and the Gestapo's arrest of the Berlin analyst Edith Jacobson led to Paul Federn's decision that analysts and analysands should not be permitted to engage in political resistance while engaged in analysis. Ernst Federn [Paul's son] defended this decision even though he himself was exceptionally courageous in his fight against fascism and was for seven years imprisoned in Dachau by the National Socialists; nevertheless, the decision was also severely critiqued (Fallend/Nitzschke 2002). Buxbaum, who like Bettelheim had insisted [in her interactions with the immigration authorities] on the title "Doctor," began her job as a teacher and succeeded. In a very short time she established herself in New York as a psychoanalyst without repeating her medical qualifying examinations. [Since Buxbaum was never a medical doctor in Europe, she did not have to repeat medical qualifying examinations., ed]. This seems highly unusual because the American union of analysts was dominated by analysts with medical specializations who feared for their financial interests. Fritz Redl had also taught at a gymnasium in Vienna and founded - with Bettelheim's first wife - a home for troubled children. It was at the famous Castle of Schallaburg (financed by Bettelheim with private means). Redl had fled to United States several months earlier upon the invitation of the Rockefeller Foundation. Buxbaum specialized in the analysis of children and taught (without a medical degree) at the well-respected Psychoanalytic Institute of New York, directed then by Sandor Rado (Sutton 1996, 232). Buxbaum also made it possible for her mother and her future husband, the Viennese attorney Fritz Schmidl (1897-1969) to emigrate to New York. Schmidl received in the United States an additional degree as a social worker and worked with Buxbaum, quite in the "Viennese Tradition" (Aichhorn 2003a, b Fisher 2003) as established by August Aichhorn and Siegfried Bernfeld, in that the boundaries between education, social work and psychoanalysis interfaced. In 1981, shortly before her death, she wrote an introduction to Fritz Schmidl's On Applied Psychanalysis (New York:Philosophical Library). From 1938-46 on, she worked in New York as an analyst and supervisor and taught psychology at the New York School of Social Research from 1944. She worked at the New York Psychoanalytic Institute, as an advisor at the Little Red Schoolhouse, at the Town School, at the Children's Aid Society as well as at the Community Service Society (Helfgott 2002; Schwartz 1978). She gave numerous professional presentations and seminars about children and psychoanalysis at the Child Welfare League as well as at the Bank Street Cooperative for Teachers, in symbolic gratitude to the institution which had helped her to emigrate to the United States. Among her friends in the new country were the Viennese refugees and psychoanalysts Judith Kestenberg (1910-1999) and Else Pappenheim (b. 1911) (Kaufhold 2003). After ten years in New York, she moved in 1947 to Seattle where she worked for twenty-five years as a psychoanalyst as well as an advisor for a variety of welfare organizations, such as the Community Service Society and the Northwest School (Seattle, WA). In 1965-66 her acknowledgment of her Jewish identity came to the fore during her stay in Israel, two years after Bettelheim's legendary research trip to that country. She worked in Israel as a supervisor as well as an advisor for educators and therapists at a children's clinic in a kibbutz. (Helfgott, 2002). It was in this same contemporary context that the kibbutz studies by Bruno Bettelheim and Rudolf Ekstein (b. 1912), both Viennese refugees in the USA and both existentially shaped by the circle of Viennese psychoanalytical educators (Bettelheim 1969; Ekstein 1969; Kaufhold 2001 p. 185-192, 2003). In the 1970s, Edith Buxbaum was appointed Associate Clinical Professor of Child Psychiatry at the University of Washington in Seattle and began to build the Seattle Institute for Child Analysis. In her private time she renewed her interests in music, formed in her Viennese youth; she began to play the piano again and learned the violin. She published the following books: Your Child Makes Sense: A Guidebook for Parents (New York 1949, 1970) and Troubled Children in a Troubled World (New York 1970). The early Collection of Essays about Psychoanalytical Education, edited by Ammon in 1973, contains three of Buxbaum's contributions in German (190-237). She cites in these the contributions her fellow refugees and psychoanalytical-pedagogical colleagues from Vienna, namely Erik Erikson, Otto Fenichel, Anna Freud, Annie Katan, Ernst Kris, Margarete Mahler as well as Fritz Spitz (Kaufhold 2001, 2003, 2003 b). pedagogical studies in German in the post-war era. (Kaufhold 2001). The study appeared in 1964 in the journal Psychoanalytical Study of the Child (19, 421 ff. ), an American journal which can be defined as the successor to the Zeitschrift für psychoanalytische Pädagogik, in 1966 in Psyche (20. 161-187), and in 1969 in abbreviated form in volume II of the "Handbook of Child Psychotherapy (ed. By G. Biermann) as well as in an unreliable translation in the collection Psychoanalytical Pedagogy by Gisela Ammon. In what follows, I rely on the version in Ammon's book. Buxbaum argues here, quite innovatively, that the psychologically disturbed child must be treated with the acknowledgement of the interrelationship of family and school. With this modified and amplified psychoanalytical causal relation, Buxbaum is in agreement with her contemporary Horst Eberhard Richter's German study Parents, Children and Neurosis (1963). This text was influenced by the then forgotten tradition of psychoanalytical pedagogy (Richter 2003). The clinical focus of Buxbaum's study in child analysis is provided by her ten-year activity at the Northwest School in Seattle-- which was housed between 1953-1963 in the Northwest Clinic. Here she worked with children and adolescents who had psychologically caused learning disabilities, behavior problems as well as language disabilities. Buxbaum emphasizes: the presence of therapists and school personnel facilitated a degree of teamwork between teachers and therapists which went beyond regular individual and staff consultations" (209). In close cooperation with teachers and parents she was able to understand the dynamic of their disturbances as an interpersonal problem. Her description of psychologically caused learning disabilities of these "special students" which reminds us of the many seminal studies by the psychoanalytical pedagogues Aloys Leber, Hans-Georg Trescher and Manfred Gersprach, as well as their learning difficulties, is of an uninterrupted contemporaneity. Buxbaum illustrates her interpretations with several extensive case studies which depict, among other things, the relationship between reading difficulties and repressed aggression. In Ammon's collection (1973) we find two further studies by Buxbaum. Influenced by Erikson's and Spitz's studies in identity development, her essay "The Problem of Separation and the Feeling of Identity" (Buxbaum 173 b) she discusses the importance of managing separation-experiences in the psychological health of children. The evolution of the child's sense of time and therewith the assurance that the absent mother will return and has not disappeared forever receive a decisive importance in the infant's management of separation experiences. Buxbaum comments: "In order to imagine and accept this, the child must be in the position to remember that the mother who went away will return. Once this experience has been internalized, the child can wait without sinking into despair." (193). Here Buxbaum agrees with Bettelheim's similar study about "Identity Development in Relation to Failed Identity Development, e.g. Autistically Psychotic Children" (Kaufhold 2001, 167-85). The child has to be afforded the opportunity to express without guilt his feelings of disappointment and anger. In this manner auto-aggressive depression is replaced with healthy activity. Buxbaum continues these considerations in Activity and Aggression in Children (1973c) and relies here on Freud's early concept of aggression as a kind of survival instinct. The manifestations of this can be constructive as well as destructive, and be in either way. She establishes a connection between the individual phases of libido-development as well as the temporal childish symptoms in the sense of obsessive fixations. The potential and ability of the infant to gain control over its body as well as over its parents receives a central importance for the child's healthy or pathological development. Buxbaum sees a causal relationship between the authoritarian personality structures of mothers that limit the experimental activities of children and can lead to symptoms such as bed-wetting as well as eating disorder and speech pathologies. We also need to mention her study titled Detective Stories and Their Role in Child Analysis, published in 1936 in Vienna and five years later in the Psychoanalytic Quarterly. On the basis of her practicum in the teaching of German language and composition, she explores here, psychoanalytically, the problem of differential valuation of children's reading materials from the point of view of adults. Reading materials which children experience as fascinating and interesting because they liberate instinctual energies and fantasies are in danger of devaluated or even prohibited by a "moralistic pedagogy." Any "pedagogical" interference in the reading processes of children, any, no matter how seemingly justified and rationalized "pedagogic measure" seemed questionable to Buxbaum. Buxbaum elaborates in her introductory remarks: "The detective novel is an important part of literature. Adults and children read it with engaged interest and ward off any interruption of their reading. But, while the adult can read what and when he wants, the child is often coerced to hide an interesting story. There are always those educators who consider it appropriate to keep their charges from these 'filthy novels' or, at least, re-direct them as much as possible. Buxbaum was not the only one who held this opinion: Already ten years earlier (1926) the psychoanalytical educator Siegfried Bernfeld offered the provocative title "The child does not need to be protected from trash. It protects itself," for a child's reading matters may well be an expression of a necessary psychological development phase without which the child could not progress from a primal to a civilized level. In the so-called "trashy" fantasies, as they were called then, the child works through earlier experiences and their conflict potential. Although National Socialism attempted to blot these insights of psychoanalytical pedagogy from our memory, Bruno Bettelheim popularized and amplified them half a century later in his world famous book The Uses of Enchantment (1975 /1977 German trans) as well as in Children Need Books (1981). In conclusion, we should mention that in Germany Mauthe-Schonig, Schonig and Speichert (2000) convincingly transferred these very basic insights about the learning process of primary school children to the first grade reader The Little White Duck. For many years, I myself have used enthusiastically and successfully this learning process in a special school for the language disabled (Kaufhold 2001, 224-28). The American writer and Buxbaum researcher, Esther Altshul Helfgott, (2002) demonstrated the unbroken continuity between Edith Buxbaum's psychoanalytical pedagogical formation in Vienna and her child analytic work and pedagogical practice in Seattle. Helfgott writes: "In Seattle, lack of a medical degree did not hinder Buxbaum´s ability to develop a practice or a professional following. In fact, her connection to social work and education would ultimately allow her to extend her influence well beyond the psychoanalytic community that she helped form. Many of the social workers and educators whose lives she touched would remain in awe of her long after her death. (...)"
Sterba writes: "One of the non-medical members who was widely acknowledged in the world of psychoanalysis was Edith Buxbaum. Her deeply human as well as analytical understanding of children made her, early in her career, famous as an outstanding therapist for children and youths. We were friends and enjoyed many excursions into the Vienna Woods." (Sterba 1985, 151). His book includes a photograph (58), taken in September 1928 and showing Buxbaum, the Sterbas as well as Annie Angel-Katan at the shores of the Danube. Edith Buxbaum died on July 14, 1982. IV. Afterword: Why was Edith Buxbaum Forgotten? After concluding my study, I sent it to several colleagues. They confirmed that Edith Buxbaum is either completely unknown to psychoanalytical experts or that her name is vaguely familiar but without any relevant details, which is the same as unknown. Within limits, I want to present several arguments why Edith Buxbaum may have been forgotten in Germany. I hope that these briefly summarized arguments will lead to more complex discussion as well as to further research about the introduction of psychoanalytical pedagogy to the United States as well as to England. A. Edith Buxbaum belonged in the 1930s to a circle of young and relatively unknown psychoanalysts. She may have published several essays, but no systematic study. The Journal for Psychological Pedagogy, where most of her studies appeared, was discontinued and therewith the continuity of this progressive tradition of social criticism disrupted. While most Viennese psychoanalysts and psychoanalytical pedagogues did not emigrate until 1938-1939, Buxbaum emigrated early. No longer present in Vienna, she was soon "forgotten." There are no traces of her in Vienna after the middle 1930s. After Buxbaum's release from prison, her escape was necessitated by her politics and ethnicity, by her exclusion from the teaching profession and by her subjection to continuous political surveillance. She had to emigrate! She must have provoked in her professional colleagues deeply ambivalent reactions because she effected early on something which they were afraid of, something they still feared and for that reason denied. Since the studies of Lohmann (1984), Lockot (1985), Reichmayr (1990), Fallend/Nitzschke (2002), Reichmayr//Mühlleitner (1998) and various publications of Paul Parin (s. Parin/Parin-Matthèy, 2000) have been made available, it has become clear that the psychoanalytical disciplines had become conscious of how traumatic and formative National Socialism was for psychoanalysis and psychoanalytical pedagogy - a trauma that has received little attention, even today. Remembering Edith Buxbaum as a radical anti-fascist would have reactivated this trauma. In this context, remembering her would have released guilt feelings among her Viennese colleagues, which, in addition to being "forgotten," led to neglect of her ideas and work in Vienna as well as in the United States. B. Buxbaum's activities were in the area of child analysis, as was Anna Freud's. Child analysis was not taken seriously at the time; it focused on a practical-oriented, dubious practice which was "suitable for women" (Fisher 2003). Psychoanalytically-oriented research about children seemed to be a questionable enterprise, one not suitable to achieve recognition among one's peers. Anna Freud, co-founder of child analysis, and by extension of psychoanalytical pedagogy, was esteemed only because she the daughter of Sigmund Freud. Here Bettelheim's assessment is enlightening, as he formulates it in his last conversation with David James Fisher (a psychoanalyst from Los Angeles and an analysand of Rudolf Eckstein): "I don't know, but I always suspected that Freud would never have accepted child analysis if it had not been founded by his daughter. As you know, you can't just ask children to lie down on the couch and analyze them. You have to play with them and be active. That was something Freud did not consider appropriate for analysis. There were personal reasons why he admitted these deviations from the classical model." (Fisher 2003 148). D. I have not been informed if Edith Buxbaum, after her escape to the USA ever attempted to return for a visit to Austria or Germany. Whatever the case may be, she gave no lectures and her writings were not published in German, with the exception of my summaries of them. There was no reason to "re-discover" her work in German speaking countries. No one felt compelled to translate her writings into German or gather them in a book. E. Beginning 1948 Buxbaum worked for the second half of her life in Seattle, not in New York or at the Menninger clinic and similar institutions which would have been recognized in Germany, as well. That, too, contributed to her lack of acceptance; she simply had "disappeared." I want to conclude these theses-like considerations by quoting two excerpts from Paul Parins. They may well aid us to better understand Buxbaum's life-situation after her immigration and her psychoanalytical- pedagogical work in the United States. A. Psychoanalytic Pedagogues who were members of the WPV (Viennese Psychoanalytical Union). A very much abbreviated version of my study "In Search of Traces of the Psychoanalytical Pedagogues who Emigrated from Vienna to the United States" appeared in the journal Contributions to the History of the Viennese Psychoanalytical Union 1, 1938-1949, from LUZIFER-AMOR, edited by Thomas Aichhorn. This thematically rich issue as well as the supplemental edition in # 32 contains many valuable studies on the topic of the emigration of the members of the Viennese Psychoanalytical Union. Anny Angel-Katan (1998-1992) was the daughter of Ludwig Rosenberg, a Jewish pediatrician who belonged to the inner circle of Freud's friends. She had been an analysand of Anna Freud and a student of Wilhelm Reich. Along with E. Buxbaum, O. Fenichel, the Bornsteins and the Sterbas she belonged to the politically progressive and activist circle of Annie Reich. She was a member of the Communist Party, which complicated matters for her later when she tried to apply for U. S. citizenship. She worked at the "Socialist Society for Sexual Counseling and Sexual Research" and specialized in child analysis. After hiding in attics to escape the Nazis, Angel-Katan and her husband emigrated in 1936 to Den Haag where she became eventually the director of the Child Guidance Clinic. In 1946 they transferred to the United States and settled in Cleveland, Ohio. In 1955 she was appointed professor for Child Analysis at the University Clinic in Ohio and became a mentor for child analysts. The White House honored her work with behaviorally troubled children (Mühlleitner 1992 27f). Siegfried Bernfeld (1892-1953) may be considered the best known Viennese psychoanalytical pedagogue, at least among professionals in the discipline. His inclusive writings which departmentalized the areas of psychoanalysis, pedagogy, sociology, social politics, Jewish movements and history-- were "rediscovered" in the 1960's by the student movement in Germany. Already as a student Bernfeld became an activist in the Viennese Youth Culture Movement as well as in the Zionist movement and became one their most productive and charismatic speakers. He was committed to student self-government and advocated radical change in the educational system. In 1915 he received his degree with a dissertation titled About the Concept 'Youth.' In 1919, he founded the short-lived "Kinderheim Baumgarten," where neglected Jewish orphans received care. Bernfeld defined this pedagogical experiment as "a first serious attempt at innovative child rearing." In 1925 he published his legendary polemic Sisyphus, or the Limits of Education." Bernfeld returned to Vienna in 1932. He fled to France in 1934, and following the advice of Simmel and Fenichel in 1937, emigrated to the United States. The "later" Bernfeld in the U.S. no longer focused on psychoanalytical pedagogy. His main interest was his work on a biography about Freud. Bernfeld became a role model for the young and socially active psychoanalytical pedagogues of Vienna; the continuation of his influence is reflected by the fact that decades later many of the immigrants continued to emphasize Bernfeld's importance for their professional and personal identity, even in their new country, the United States. The sisters Berta Bornstein (1896-1971) and Stefanie (Steff) Bornstein-Windholzova (1891-1939) were central for Viennese as well for the American psychoanalytical pedagogy. Berta Bornstein was born in Krakow and moved to Berlin early on. She was a teacher at a school for intractable children and attended the meetings of the "left-wing" group which met at Fenichels's house. Later, she belonged to the recipients of Fenichel's "secret circular letters." She participated in a "children's seminar" and specialized in child analysis. In 1929 she went to Vienna where she worked with Anna Freud. In 1930 she published in The Journal for Psychoanalytical Pedagogy (4/1930: 446-454) the following essays: "The Relationship between Sexual and Cognitive Development" and "An Example for the Denial of Fantasy" (10/1936: 269-275). Her essay "The Psychogenesis of Pseudo-Feeblemindedness" (IZP 16/1930: 378-399) appeared in the International Journal for Medical Psychoanalysis [Internationale Zeitschrift für ärztliche Psychoanalyse]. After emigrating to the U.S. in 1938, Berta Bornstein taught children's psychoanalysis (1951) and chaired from 1952-1955 the department of Child Analysis in the New York Psychoanalytic Institute. I was an artist before I studied psychoanalysis, and, besides a Montessori Certificate, I cannot offer a professional education (78). (. . . ) My friend Peter Blos (. . . ) saved me. During our boyhood in Karlsruhe he shared his father with me, an eccentric as well prophetic physician who was the first to tell us about Gandhi. (. . . )Then, he wrote me from Vienna and encouraged me to become a co-worker at a school founded by Dorothy Burlingham. With his help I learned to keep regular hours, and it was through him that I came under the influence of Freud. (1973a: 810). Erikson became a member of the Viennese Psychoanalytical Union in 1933. In the same year he immigrated via Copenhagen to Boston where, in spite of the fact that he had no medical degree, he joined the Psychoanalytical Society and opened a practice for child analysis. Conzen defined him as the "first child analyst in America" (Mühlleitner 1992: 87). He moved to San Francisco in 1939 where he taught as an analyst and worked intermittently at the Menninger Foundation. In 1949 he was appointed as professor at Berkeley; in 1950 he published his most important work, Childhood and Society. Marianne Kris (1900-1980) was the daughter of the Viennese pediatrician Oskar Rie. She studied medicine and graduated in 1925. She participated in Anna Freud's child analysis seminar and published in the Journal for Psychoanalytical Pedagogy her essay "The Use of a Fairy Tale in Child analysis" (1932 6:437-441). She married Ernst Kris in 1927, escaped to England in 1938 and immigrated to New York in 1940. Marianne Kris was a member of the New York Psychoanalytic Society where she taught courses not only for physicians but also for interested persons in other professional groups. Her work with educators and social workers at the "Jewish Board of Guardians" and her participation in the research about Kibbutz children enabled her to apply psychoanalytic theories beyond the conventional forms of treatment. She supported enthusiastically the acceptance of lay analysts into the New York Society. Anna Maenchen (1902-1991) studied in Vienna psychology and history and became acquainted with Anna Freud through Bernfeld. In 1927 she married the historian Otto Maenchen-Helfen who was offered a leading position at the Marx-Engels-Intistute in Moscow, promoting the couple to move to Moscow. There she visited the "Children's Laboratory," founded in 1921 by Vera Schmidt. She took her professionally required analysis with Anna Freud, worked as a child analyst, and published in 1936 an essay about the psychodynamic understanding of learning disabilities (Journal of Psychoanalytical Pedagogy 1936 10: 276-299). In 1938 she and her husband went into hiding for a few days in the apartment of her American colleague Mary O'Neil Hawkins. They were able to flee to the United States. Anna Maenchen participated significantly in the establishment of child analysis in San Francisco. In 1973-74 she was president of the Association of Child Analysis. She taught at the University of California at Berkeley in the School of Social Welfare from 1942 to 1968. Margarethe Mahler (Née Schönberger) (1897-1985) grew up in a respected Jewish family at the Austrian-Hungarian border at Sopron and moved 1913 to Hungary in1913. Upon the recommendation of Ferenczi she underwent her professional analysis and graduated with a concentration in children's medicine. In Vienna she maintained a psychoanalytically oriented pediatric practice, became acquainted with Aichhorn as well as with the counseling centers of the Viennese Union supervised by him. She published in the Journal for Psychoanalytical Pedagogy. In 1933 she became a member of the Viennese Psychoanalytical Union. In 1938 she immigrated to New York via Great Britain and became in 1940 a member of the New York Psychoanalytic Institute. After she heard about the deportation of her mother to Auschwitz, she underwent further analysis with Edith Jacobson. In the 1950's she chaired the training institute of the Philadelphia Psychoanalytic Institute. In this context she published her studies about infantile autism and infantile psychoses, which made her world famous (Mahler 1972). In her collaborative work with Pine and Bergman, The Psychological Birth of the Human Infants: Symbiosis and Individuation. (New York, London1975, German 1978) she assited in presenting to English readers the theory of separation as well as individuation (1978). 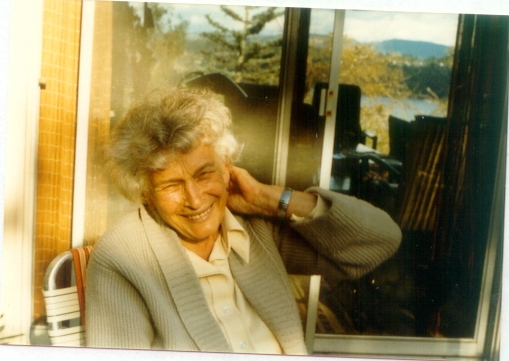 She was honorary president of the René Spitz Society (Mühlleitner 1992 220-222). Lili Roubiczek (Peller) (1898-1966) was the child of a Jewish family in Prague. She received her education in philosophy there as well as in Vienna (1920/21) but did not conclude her studies. In 1921 she took a course in London with Maria Montessori and brought her ideas to Vienna. In 1922 she opened "the Children's Home," The first Montessori home for working class children in Vienna. In close cooperation with Montessori, who came to Vienna with the express purpose to assist her, she designed a two-year training course for pre-schoolers. One of the participants was Erik Erikson. She also worked with the child analysis Seminar of Anna Freud. A dynamic exchange thus developed between these two reform movements. In 1934 Lili Peller immigrated with her husband to Palestine and continued there her activities until she left for the United States in 1938. She worked in New York as an educational analysts, as a child analyst, and developed a teacher training program. The Paul Federn Study Group (1950-1960) convened for several years in Peller's apartment and was directed by Paul Federn after the encouragement of Lili Peller (Federn, 2000 118). She died in New York in 1966). Editha Sterba (1895-1986) was born in Budapest, attended first the gymnasium for women in Prague; she was the only girl student (1915) among 300 boys at the Franz Joseph Gymnasium in Baden near Vienna. She studied German language and literature, philology and music, graduating in 1921. In 1926 she married Richard Sterba. She published four contributions (1929-1936) in the Journal for Psychoanalyical Pedagogy and worked for ten years at the international Psychoanalytical Publisher as lecturer and editor. Editha Sterba shared her private practice with her husband and assumed in 1928 the educational counseling center of the Viennese Psychoanalytical Union. Her main interest was child analysis. She discussed her cases regularly with Anna Freud and presented them in A. Freud's Childhood Seminar. On March 16, 1938 the Sterbas emigrated to Switzerland and the U.S. out of their feeling of solidarity with their Jewish colleagues and friends whose were threatened by Nazism (R. Sterba 1985). The couple lived in Chicago until 1946 and then moved to Detroit. She was involved in numerous projects and research in the area of children's therapy and developed methods for the treatment of adolescents who had survived the Holocaust for the Jewish Family Service. She died in 1986 in Detroit. Bruno Bettelheim (1903-1990) achieved enormous influence with his sixteen books, written between 1950-1990, and his innumerably publications. Nevertheless, he remained a mystery for many during his life as well as after his suicide, chosen after a long illness (Kaufhold 1994, 2001; Fisher 2003). Bettelheim was born in the "the Vienna of Sigmund Freud" (Bettelheim 1990,15). Along with his cousin Edith Buxbaum, he grew up as the child of assimilated Jews. In the context of his participation in the progressive Young Wandervogel Movement, Bettelheim was introduced to Freud's writings for the first time; Freud's influence never left him. He struck a friendship with Wilhelm Reich and identified himself with Reichs exceptional productivity as well as with his theoretical-therapeutic brilliancean identification which, in spite of divergent political opinions, continued until the end of his life. Bettelheim studied German language and literature, art history and philosophy and wrote his dissertation on "The Problems of Natural Beauty and Modern Aesthetics" (1937). He participated in the circle of the psychoanalytical pedagogic movement. Upon the suggestion of Anna Freud and Editha Sterba, Bettelheim took into his family a seven-year-old autistic girl for seven years. This move was formative for his work with psychologically seriously ill children. On May 28, 1938 Bettelheim was arrested in his apartment and transported to Dachau. For ten and a half months he was a prisoner in Dachau and thereafter in the concentration camp Buchenwald. This traumatic experience shaped Bettelheim at the deepest level and haunted him for the rest of his life. In Buchenwald Bettelheim befriended Ernst Federn and developed with him the Foundations of a Psychology of Terror (Kaufhold 1999, 2001). After his release in April 1939 Bettelheim immigrated to New York and succeeded step by step to establish himself professionally in the USA. The Journal of Abnormal and Social Psychology published in October 1943 his concentration camp study "Individual and Mass Behavior in Extreme Situations," as the first psychologically study about the German death camps. In 1943-44 Bettelheim assumed the directorship of the Sonia Shankman Orthogenic School and transformed it, along with Redl and E. Sylvester, into an institution that was a model therapeutic environment. He published four books on the subject. After he concluded his activities at the Orthogenic School in 1974, he continued his contributions by writing about psychoanalytical pedagogy and cultural criticism. Definitive discussions about his life and work can be found in the biographies by Kaufhold (1994, 2001), Sutton (1996) and David James Fisher (2003). Peter Blos (1904-1997) had a teaching position in Heidelberg and studied biology in Vienna. He was a private tutor for the children of D.T. Burlingham and became acquainted through her with A. Freud and Aichhorn, the latter become his most important teacher. In 1927 he persuaded his friend Erik Erikson to join him in Vienna and develop the Burlingham-Rosenfeld-School. After his immigration to the USA, he continued his child therapy work and befriended Rudolf Ekstein. Among other things he participated in the Madeline Bork Child Guidance Institute as well as in the Jewish Board of Guardians. Blos published his psychoanalytic-pedagogical findings in the collection "Adolescence. A Psychoanalytical Interpretation (English 1962; German 1978) as well as in The Young Adolescent. Clinical Studies (New York 1970). Kurt R. Eissler (b. 1908) is well-known among psychoanalysts because of the scope of his publications. He was Aichhorn's student and was directly threatened when the National Socialists invaded Vienna (Reichmayer 1990, 153). He immigrated to New York in 1938 where he was active as an analyst and published several studies about Aichhorn's contribution to our understanding of juvenile delinquency. Among these is the collection of essays Searchlights on Delinquency (New York 1949), produced by former students in honor of Aichhorn's 70th birthday. His "Biographical Summary of August Aichhorn" was included in the new edition (1957) of Aichhorn's study Delinquent Youth (see Fdern, 1999 156). The establishment of the Freud Archive in the Library of Congress owes much to Aichhorn's active support. In later years he became the director of the Freud Archive in New York and published numerous articles about the psychological consequences of measures taken in National Socialist persecutions." Rudolf Ekstein was born in Vienna in 1912 and was one of the most productive psychoanalytical pedagogues. His list of publications includes more than 500 titles (Kaufhold 2001). He grew up in an assimilated Jewish family and involved himself already as a youth in the "Union of Socialist Middle School Students" as well as in "The Red Falcon." He studied philosophy and psychology in Vienna and endeavored to reconcile psychoanalysis, Marxism, and pedagogy. In protest over the hesitating and indecisive attitude of the majority holding Social Democrats he gave up his membership in the Socialist Party of Austria after the fierce election campaign of February 1934 and joined the Communist Youth Federation. However, when he, under the influence of Wilhelm Reich's sexual politics, wrote for the party papers in 1937 about "The Sexual Politics of Fascism," he was expelled from the "stalinized" party. Throughout his life he was under the influence of August Aichhorn and Siegfried Bernfeld. In December of 1938 Ekstein immigrated to the United States. His first publication in the USA had the telling title "Democratic and Fascist Education from the Point of View of a Teacher and Refugee" (October 1939). He published and worked at the Menninger Foundation from 1947-1958 and from 1958-1978 at the Reiss-Davis Clinic in Los Angeles. The Reiss-Davis Clinic Bulletin, which he co-edited, became the central organ for the Viennese psychoanalytical pedagogues. Always influenced by Bernfeld, Ekstein's diverse books as well as his magazine essays (among them "From Learning to Love to Love of Learning" (1969) and "Marginalized Children" (1963) concerned themselves with treatment of psychoses, infantile autism, teacher education as well as psychoanalytical pedagogy, but they remained almost unnoticed in German language publications. Ekstein lives in Los Angeles today. Judith S. Kestenberg (1910-1999) née Silberpfenning, was born in Tartov, Poland. She studied medicine, neurology and psychiatry in Vienna and worked until her emigration in 1937 at the Neurological and Psychiatric Clinic in Vienna. After he immigration she settled in New York where she continued her pedagogical analysis under the supervision of Paul Schilder at Bellevue Hospital. She taught at the New York University Medical School as well as at the Long Island Jewish Medical Center. She was also the founder and director of Child Development Research (CDR). Her publications include fifteen books and more than 150 articles. Her involvement with survivors of the Holocaust and their children became a special focus of her theoretical and therapeutic activities. Kestenberg was repeatedly honored in Israel for her involvement with the victims of National Socialist crimes. Maria and Gerhard Piers established their contacts with psychoanalysis in Vienna. Maria Piers (1911-1987) worked as a kindergarten teacher and graduated in Vienna in anthropology and psychology. She had contact with Erik Erikson. After their immigration the Piers' settled in Chicago and joined Bettelheim's circle of acquaintances. In 1966 Maria Piers became the founder-director of the Chicago Erikson-Institute, a research and training institute for early childhood education. She worked there until her retirement in 1987. She was an activist for disadvantaged families and published several books, among the Growing up with Children (1966), Infanticide (1978) and The Gift of Play (1980). Fritz Redl (1902-1988) is today, in Europe and the United States, one of the best known and most respected psychoanalytical pedagogues. He published at least five books as well as 100 articles. Already in his youth, Redl had been influenced by reform pedagogy as a member of the Wandervogel movement. In Vienna he studied philosophy, German language and literature, English and higher education and taught at a Realgymnasium. Prompted by the psychoanalytic counseling of Editha Sterba at his Viennese school, Redl underwent analysis himself in 1928 (Sterba 1985, 46). He was active as a school psychologist at a county reformatory and directed from 1934 to 1936 the educational counseling centers of the Viennese Department for Public Education [Volksbildung]. He published several articles in The Journal of Psychoanalytical Pedagogy. Redl immigrated to the USA in 1936 and participated at first on a research project about "The Normal Course of Adolescence." He received a professorial appointment in 1941 at Wayne University in Detroit. Later he worked at the National Institute for Mental Health. Beginning in 1946, he developed with colleagues at the Pioneer House, a therapeutic pedagogical approach for emotionally disturbed and highly aggressive children (Redl & Wineman 1951, 11-59). Based on Aichhorn's experiences and Bettelheims' environment therapy, Redl developed a paradigm for therapeutic residential education for "children who hate." Emmy Sylvester (circa 1910) studied psychology in Vienna. She received her doctorate in psychology in 1932 and worked as an assistant to Charlotte Bühler as well as at the Vienna Children's Clinic. She underwent analysis with E. Sterba and was supervised by Richard Sterba during her first professional cases as a therapist. According to Sutton (1996, 265) she was one of the "best psychoanalysts for children" of the post-war era. After her immigration, Sylvester worked as an assistant physician in child psychiatry at the Michael Reese Hospital and was appointed as a counselor at the end of the 1940s at Bettelheim's Orthogenic School. Between 1947-1960 she co-authored with Bettelheim at least six papers. It is already clear in her second paper, published in 1948 with the title "A Therapeutic Milieu" (Bettelheim/Sylvester: "A Therapeutic Milieu," American Journal of Orthopsychiatry, 18, 1948, S. 191-206) how closely she was tied to the Viennese tradition. Bettelheim and Sylvester emphasize: "Milieu Therapy is not new as a Psychotherapeutic technique. It is no more than the application of psychoanalytic concepts to the specific task of creating a setting for emotionally disturbed children who are in need for residential treatment. (...) Nor is the idea of creating a psychoanalytic milieu for emotionelly disturbed children a new one. Anna Freud consideres it, though not without skepticism, when she spoke of the need for a milieu which would be suited to child analysis, and Aichhorn reported favorably on his experience in an institutional setting which had therapeutic value in itself." Ernst Federn holds in this context a special position. His family background influenced him existentially in Vienna and, although he was profoundly attracted to the psychoanalytic-pedagogical movement, he was not an "official" participant in the curriculum for psychoanalytical pedagogues (Kaufhold 2001, 96 and 253-262; Kaufhold 1999, Kuschey 2003). Born in 1914 as the son of psychoanalyst Paul Federn, Ernst Federn was among the most prominent of the Viennese psychoanalytical pedagogues. Through his parental home he became acquainted personally with almost every Viennese psychoanalyst: August Aichhorn and Siegfried Bernfeld, who visited his parents regularly, were among the most important and formative role models. The National Socialists imprisoned him for political and ethnic reasons from 1938-1945 in Dachau and Buchenwald. It took 50 years before he published Attempts at Defining the Psychology of Terror (Kaufhold 1999), his personal experience based psychoanalytical studies about National Socialist terror and the psychology of extreme situations. From 1948 to 1972 Ernst Federn lived in the USA and worked with the "Aichhorn method" as a psychoanalytical social worker. After his return to Vienna he continued indefatigably in theory and practice with his psychoanalytical-pedagogical studies. In this context I want to mention the Paul-Federn Study-Group, led by him from 1950-1960. It met in New York every two weeks and defined itself in contrast to the official strictly medically-oriented attitude of the New York Psychoanalytical Associationas, a "lay persons analytical" association of about 25 practicing analysts. Among the members were: Ernst Federn, Martin and Maria Bergman, Yonata Feldmann, Lili Peller, Oscar Sternbach, Lia Knoepfmacher. Presenters were among others Robert Waelder, Robert Bak, Martimer Ostow. Federn emphasizes that the "Paul Federn Study Group was in the United States the first group which set as its task to educate social workers psychoanalytically" (Federn 2000, 120). He continues: "At first we met for a few years in the house of Lilly Peller, but we had to leave because Mrs. Peller was very worried that she would have difficulty with the Psychoanalytical Association" (118). Presently, Ernst Federn lives with his wife Hilde in Vienna. She also belonged to the psychoanalytical pedagogical movement in the Vienna of the 1920s and 1930s (Kaufhold 2001, 65-67). A systematic exploration of Federn's life and work can be found in Kaufhold (1999, 2001) and Kuschey (2003). His most important social psychological studies are gathered in his book Witnessing Psychoanalysis (Ein Leben mit der Psychoanalyse) (1990, German 1999). During the 20's of the twentieth century many interested persons from other countries, especially America, came to Vienna in order to study psychoanalysis at its place of origin but also because many of them came from pedagogical and sociological professions and as lay analysts had been unable to receive an analytical education in the United States (Wirth 2003, Handlbauer 2003). "The United States was well represented among those who wanted to learn," remembers Richard Sterba (1995 100) as well as Ruth Mack Brunswick, Dorothy Tiffany-Burlingham, Sidney S. Biddle, Hymann Lippmann, Ralph Kaufman, Estelle Levy, Molly Putnam, Edith B. Jackson, Margret Fries, Helene Tartakoff, Julia Deming, Le Roy Maeder, John Dorsey and Muriel Gardiner. Added to these are Elizabeth Bryant, George and Esther Mohr, Helen Ross and Hildegard Thun (the latter translating Aichhorn's Neglected Youth into English) (Mühlleitner 1992, 66). Also Esther and William Menaker (1997 Menaker). Five American women, namely Dorothy Burlingham (1891-1979), Julia Deming (1891-1968), Frances Deri (1881-1971) Mary Hawkins O'Neil (1897-1983) as well as Edith Jackson (1895-1977) all official members of the Viennese Psychoanalytical Association (Mühlleitner 1992, 55-57, 66-69, 137f, 168 f) and all interested in establishing a relationship between pedagogy, social work and psychoanalysis. Many of them attached themselves to the pedagogical groups influenced by Anna Freud and started therapeutic schools and kindergartens where they taught. Friendships flourished in this context, especially among the younger generation of psychoanalysts, pedagogues, and their American colleagues. They translated the writings of Freud and other analysts into English, which also furthered cooperation in Austria and later in the USA. Moreover, several of them tutored analysts in English, which eased the way into exile. As American citizens the guests were not endangered, and several of them took advantage of their position as well as of their international contacts in order to help the Viennese analysts plan their escape. Some of the Americans were actually directly involved in illegal underground resistance. They organized affidavits, false passports, money and found hiding places for the analysts, save from the Nazis. It seems psychologically valid that the courageous support of their American colleagues and friends even if they were not personally endangered was perceived by the Viennese psychoanalytical pedagogues as an important identity forming and integrating attitude. It is not surprising, therefore, that many immigrants were enabled to accept the USA as their new democratic home and separate themselves with relative ease from Vienna. (Kaufhold 1994a, 1999a, Ascher 2003, Handlbauer 2003). NOTE: I want to thank Dr. Hans-Jürgen Wirth (Gießen) for the most helpful interview of Buxbaum by L.H. Schwartz which he kindly made available to me for this study. The interview will be reprinted in 2004 or 2005 in a collection, edited by H.-J Wirth, about the psychoanalysts who immigrated to the USA. 1 "Überarbeitete und erweiterte Fassung meines in der Zeitschrift für Politische Psychologie, 9. Jg., Heft 4/2001, S. 221-233 publizierten Beitrages "Von Wien über New York nach Seattle / Washington: Zum 100. Geburtstag von Edith Buxbaum (1902-1982), einer Pionierin der Psychoanalytischen Pädagogik". Weiterhin habe ich stark gekürzte Teile meiner Studie "Spurensuche zur Geschichte der die USA emigrierten Wiener Psychoanalytischen Pädagogen", in: Luzifer-Amor: Geschichte der Wiener Psychoanalytischen Vereinigung I (Hg. Thomas Aichhorn), 16. Jg., Heft 31, 2003, S. 37-69 in diese Studie eingearbeitet. Esther Altshul Helfgott (Seattle) danke ich herzlich für ihr Interesse und ihren Zuspruch. Ernst Federn (Wien), Hans-Jürgen Wirth (Gießen), Thomas Aichhorn (Wien), sowie David James Fisher (Los Angeles) danke ich für den langjährigen Gedankenaustausch, welcher dieser Studie zugrunde liegt. Aichhorn, August (1925/1977): Verwahrloste Jugend. Die Psychoanalyse in der Fürsorgeerziehung. Wien (Internationaler Psychoanalytischer Verlag). Aichhorn, Thomas (Hg. 2003a): Zur Geschichte der Wiener Psychoanalytischen Vereinigung I. 1938 - 1949, Luzifer-Amor, 16. Jg., Heft 31, 2003. Aichhorn, Thomas (Hg. 2003b): Zur Geschichte der Wiener Psychoanalytischen Vereinigung II. 1938 - 1949, Luzifer-Amor, 16. Jg., Heft 32, 2003. Aichhorn, Thomas (2003c): "Die Psychoanalyse kann nur dort gedeihen, wo Freiheit des Gedankens herrscht". In: Aichhorn, Thomas (Hg., 2003a), S. 106-123. Aichhorn, Thomas (2003d): Bruno Bettelheims Wiener Tradition. In: Kaufhold/Löffelholz (2003a), S. 71-89. Aichhorn, Thomas/Mühlleitner, Elke (2003): Auf den "Trümmern der Psychoanalyse. Wiener Psychoanalytikerinnen während und nach dem Krieg. In: Aichhorn, Thomas (Hg., 2003a), S. 66-98. Ammon, Gisela (1973): Psychoanalytische Pädagogik. Hamburg (Hoffmann und Campe). Ascher, Carol (2003): The Force of Ideas. In: Aichhorn, Thomas (Hg., 2003b), S. 150-169. Becker, S. (1994): Die Bedeutung Bruno Bettelheims für die psychoanalytische Sozialarbeit in Deutschland. In: Kaufhold, R. (Hg.) (1994), S. 237 - 243. Bergmann/Jucovy/Kestenberg (1998): Kinder der Opfer. Kinder der Täter. Frankfurt/M. Bernfeld, Siegfried (1925/1973): Sisyphos oder die Grenzen der Erziehung. Frankfurt/M. Bettelheim, Bruno (1942): Individual and Mass Behavior in Extreme Situations. In: Journal of Abnormal and Social Psychology, 38, October: S. 417-452. Deutsche Fassung: Individuelles und Massenverhalten in Extremsituationen. In: Bettelheim (1960), S. 47-57. Bettelheim, Bruno (1950; dt. 1971): Liebe allein genügt nicht. Die Erziehung emotional gestörter Kinder. Stuttgart. Bettelheim, Bruno (1960; dt. 1964): Aufstand gegen die Masse. Die Chance des Individuums in der modernen Gesellschaft. Frankfurt/M. Bettelheim, Bruno (1967; dt. 1977): Die Geburt des Selbst. The Empty Fortress. Frankfurt/M. Bettelheim, Bruno (1969; dt. 1971): Die Kinder der Zukunft. Gemeinschaftserziehung als Weg einer neuen Pädagogik. München. Bettelheim, Bruno (1976; dt. 1977/1980): Kinder brauchen Märchen. Stuttgart. Bettelheim, Bruno (1979; dt. 1980): Erziehung zum Überleben. Zur Psychologie der Extremsituation. München. Bettelheim, Bruno (1987; dt. 1987): Ein Leben für Kinder. Erziehung in unserer Zeit. Stuttgart. Bettelheim, Bruno (1988): Kulturtransfer von Österreich nach Amerika, illustriert am Beispiel der Psychoanalyse. In: Stadler, F. (Hg.) (1988): Vertriebene Vernunft II. Emigration und Exil österreichischer Wissenschaft 1930-1940. Wien, München, S. 216-220. Buxbaum, Edith (1932): Analytische Bemerkungen zur Montessori-Methode. In: Zeitschrift für psychoanalytische Pädagogik 1932, 6, S. 324-333. Buxbaum, Edith (1933): Angstäußerungen von Schulmädchen im Pubertätsalter. In: Zeitschrift für psychoanalytische Pädagogik 1933, 7, S. 401-409. Buxbaum, Edith (1936): Detektivgeschichten in ihrer Rolle in einer Kinderanalyse. In: Zeitschrift für psychoanalytische Pädagogik 1936, 10, S. 113-121 (auf englisch: Buxbaum (1941): The role of detective stories in a child analysis., Psychoanaltic Quarterly, 10, S. 373-381). Buxbaum, Edith (1949, 1970): Your Child Makes Sense: A Guidebook for Parents. New York. Buxbaum, Edith (1970): Troubled Children in a Troubled World. New York. (1973a): Die Rolle der Eltern bei der Ätiologie von Lernstörungen, in: Ammon (Hg., 1973), S. 204-229. Buxbaum, Edith (1973b): Das Problem der Trennung und das Gefühl der Identität, in: Ammon (Hg., 1973), S. 190-203. Buxbaum, Edith (1973c): Aktivität und Aggression bei Kindern, in: Ammon (Hg., 1973), S. 230-237. Eissler, K. R. (Hg., 1949): Searchlights on Delinquency. New York (International Universities Press). Ekstein, Rudolf, & Motto, E. L. (1963): Psychoanalyse und Erziehung Vergangenheit und Zukunft. Praxis der Kinderpsychologie und Kinderpsychiatrie, 12 (6), S. 213-233. Ekstein, Rudolf (1966): Children of Time and Space, of Action and Impulse: Clinical Studies on the Psychoanalytic Treatment of Severely Disturbed Children. N. Y.
Ekstein, Rudolf (1969): The Full Fortress, in: Psychiatry and Social Science Review, 3 (8), 1969, S. 2-8. Ekstein, Rudolf, & Motto, Rocco L. (1969): From learning of love to love of learning. New York. Ekstein, Rudolf (1973): Grenzfallkinder. München. Ekstein, Rudolf (1987): Die Vertreibung der Vernunft und ihre Rückkehr. In: Stadler, F. (Hg.) (1987): Vertriebene Vernunft I. Emigration und Exil österreichischer Wissenschaft 1930-40. München-Wien, S. 472-477. Ekstein, Rudolf, Fallend, Karl, & Reichmayr, Johannes (1988): »Too late to start life afresh«. Siegfried Bernfeld auf dem Weg ins Exil. In: Stadler, F. (Hg.) (1988): Vertriebene Vernunft II. Emigration und Exil österreichischer Wissenschaft 193040. Wien-München, S. 230241. Ekstein, Rudolf (1994): Vorwort. Zu: Kaufhold (Hg.) (1994): S. 10-12. Ekstein, Rudolf (1994a): Mein Freund Bruno (19031990). Wie ich mich an ihn erinnere. In: Kaufhold (Hg.) (1994): S. 87-94. Erikson, Erik H. (1973): Autobiographisches zur Identitätskrise, Psyche 27, 1973, S. 793-831. Fallend, Karl/Johannes Reichmayr (Hg., 1992): Siegfried Bernfeld Oder die Grenzen der Psychoanalyse. Materialien zu Leben und Werk. Frankfurt/M. Fallend, Karl/Bernd Nitzschke (Hg., 2002): Der "Fall" Wilhelm Reich. Beiträge zum Verhältnis von Psychoanalyse und Politik. Gießen (Psychosozial-Verlag). Federn, Ernst (1985): Weitere Bemerkungen zum Problemkreis "Psychoanalyse und Politik", Psyche 4/1985, S. 367-374. Federn, Ernst (1999): Versuch einer Psychologie des Terrors. In: Kaufhold (Hg.) (1999), S. 35-75. Federn, Ernst (1999a): Ein Leben mit der Psychoanalyse. Von Wien über Buchenwald und die USA zurück nach Wien. Gießen (Psychosozial-Verlag). Federn, Ernst (2000): Die Paul Federn Study-Group. Jahrbuch der Psychoanalyse. Hg. F.-W. Eickhoff. Band 42, 2000, S. 118-122. Federn, Paul, & Meng, Heinrich (Hg.) (1926): Das psychoanalytische Volksbuch. Bd. I: Seelenkunde und Hygiene, B. II: Krankheitskunde und Kulturkunde, Stuttgart, Bern. Fisher, David James (1991): Cultural Theory and Psychoanalytic Tradition. Fisher, David James (2003): Psychoanalytische Kulturkritik und die Seele des Menschen. Essays über Bruno Bettelheim. Gießen (Psychosozial-Verlag). Frattaroli, E.J. (1994): Bruno Bettelheim´s Unrecognized Contribution to Psychoanalytic Thought. In: Psychoanalytic Review 3/1994, S. 379ff. Fremon, C. (1994): Liebe und Tod. Ein Gespräch zwischen Bruno Bettelheim und Celeste Fremon. In: Kaufhold (Hg., 1994), S. 99-111. Freud, Sigmund (1926): Geleitwort zu "Verwahrloste Jugend" von August Aichhorn, Ges. Werke XIV, S. 565-567. Freud, Sigmund (1930): Das Unbehagen in der Kultur. Frankfurt/M., S. 63-129. Gottschalch, W. (2003): Bruno Bettelheims Beitrag zu einer skeptischen Pädagogik. Annäherungen an Bruno Bettelheim über Begegnungen mit Ausnahmesituationen. In: Kaufhold/Löffelholz (Hg. 2003a), S.161-168. Handlbauer, Bernhard (2003): Die Emigration der Wiener Psychoanalytiker in die USA und die Amerikanisierung der Psychoanalyse. Überlegungen zum emotionalen Aspekt von Emigration und deren möglichen Auswirkungen auf die Geschichte der Psychoanalyse. In: Aichhorn, Thomas (Hg., 2003b), S. 99-149. Helfgott, Esther Altshul (2002): Buxbaum, Edith (1902-1982), im Internet abrufbar unter: www.historylink.org/output.CFM?file_ID=3674. Jacobsen, Kurt (2000): Blaming Bettelheim, Psychoanalytic Revue 87, S. 385-415. Kaufhold, Roland (Hg.) (1993): Pioniere der Psychoanalytischen Pädagogik: Bruno Bettelheim, Rudolf Ekstein, Ernst Federn und Siegfried Bernfeld. psychosozial Heft 53 (I/1993), 16. Jg. Kaufhold, Roland (Hg., 1999): Ernst Federn: Versuche zur Psychologie des Terrors. Material zum Leben und Werk von Ernst Federn. Gießen (Psychosozial-Verlag). Kaufhold, Roland (1999a): Material zur Geschichte der Psychoanalyse und der Psychoanalytischen Pädagogik: Zum Briefwechsel zwischen Bruno Bettelheim und Ernst Federn. In: Kaufhold (1999), S. 145-172. (erscheint auch in The Psychoanalytic Review, voraussichtlich 3/2003). Kaufhold, Roland (1999b): "Falsche Fabeln vom Guru?" Der "Spiegel" und sein Märchen vom bösen Juden Bruno Bettelheim. In: Behindertenpädagogik, 38. Jg., Heft 2/1999, S. 160-187. Kaufhold, Roland (2000): "Literatur ist das Gedächtnis der Menschheit". Hans Keilson zum 90. Geburtstag. In: psychosozial Heft 79 (1/2000), S. 123-128. Kaufhold, Roland, & Lieberz-Groß, Till (Hg.) (2001): Deutsch-israelische Begegnungen. Pädagogische, psychoanalytische und biografische Beiträge. psychosozial Heft 83 (1/2001). Kaufhold, Roland (2003): Spurensuche zur Geschichte der in die USA emigrierten Wiener Psychoanalytischen Pädagogen. In: Luzifer-Amor: Zur Geschichte der Wiener Psychoanalytischen Vereinigung I, 1938-1949 (Hg. Thomas Aichhorn), 16. Jg., Heft 31, 2003, S. 37-69. Kaufhold, Roland (2003a): Correspondence between Bruno Bettelheim and Ernst Federn. In: The Psychoanalytic Review, Volume 90 (3), Autumn 2003 (New York). Kaufhold, Roland (2003b): Bruno Bettelheim (1903-1990): Frühe biographische Wurzeln in Wien und sein psychoanalytisch-pädagogisches Werk. In: Kinderanalyse, 11. Jg., Heft 3/2003, S. 218-253. Kaufhold, Roland (2003c): Bruno Bettelheim (1903 - 1990): Biographie und psychoanalytisch-pädagogisches Werk. In: Kaufhold/Löffelholz (Hg., 2003a), S. 37-69. Kaufhold, Roland (2004): Ein psychoanalytischer Pionier. Ernst Federn zum 90. Geburtstag. TRIBÜNE. Zeitschrift zum Verständnis des Judentums, Heft 170, Nr. 2/2004, S. 44-48. Kaufhold, Roland/Löffelholz, Michael (2003): Einleitung. In: Fisher, D. J. (Hg., 2003): Psychoanalytische Kulturkritik und die Seele des Menschen. Essays über Bruno Bettelheim. Gießen (Psychosozial-Verlag).Kaufhold, Roland (2003c): Bruno Bettelheim (1903 - 1990): Biographie und psychoanalytisch-pädagogisches Werk. In: Kaufhold/Löffelholz (Hg., 2003a), S. 37-69. Kaufhold, Roland/Löffelholz, Michael (Hg., 2003a): Bruno Bettelheim (1903-1990): "So können sie nicht leben". - Bruno Bettelheim (1903-1990). Zeitschrift für politische Psychologie 1-3/2003. Kestenberg, Judith S. (1974): Kinder von Überlebenden der Naziverfolgungen. In: Psyche, 28 (1974), S. 249-265. Kestenberg, Judith S. (1986): Ein Requiem für die Verluste der Psychoanalyse in der Nazizeit. Eindrücke vom Hamburger IPA-Kongreß. In: Psyche 40 (1974). S. 881-883. Kestenberg, Judith S. (1993): Spätfolgen bei verfolgten Kindern. In: Psyche 47 (1993), S. 730-742. Kuschey, Bernhard (2002): Die Ausnahme des Überlebens. Ernst und Hilde Federn. Eine biographische Studie und eine Analyse der Binnenstruktur des Konzentrationslagers, Bd. I und II. Gießen (Psychosozial-Verlag). Leber, Aloys, & Gerspach, Manfred (1996): Geschichte der Psychoanalytischen Pädagogik in Frankfurt am Main. In: Plänkers, T., u. a. (Hg.) (1996): Psychoanalyse in Frankfurt am Main. Tübingen, S. 489-541. Maas, M. (2003): Assoziationen zum Einfluß Bettelheims auf die Genese der "Gesprengten Institution" Hagenwört. Ein psychoanalytisch-pädagogisches Modell für Menschen mit seelischem Handicap. In: Kaufhold/Löffelholz (Hg. 2003a). Mannoni, Maud (1978): Ein Ort zum Leben. Die Kinder von Bonneuil. Frankfurt/M. Mauthe-Schonig, Doris (1996): Wenn Kinder in der Schule träumen... Übergangsphänomene am Anfang des Latenzalters. In: Kinderanalyse 3/1996, S. 307-325. Mauthe-Schonig, Doris, Schonig, Bruno, & Speichert, Mechthild (2000): Mit Kindern lesen im ersten Schuljahr. Anfangsunterricht mit den Geschichten von der kleinen weißen Ente (Lehrerhandbuch). Weinheim und Basel. Menaker, Esther (1997): Schwierige Loyalitäten. Psychoanalytische Lehrjahre in Wien 1930-1935. Gießen (Psychosozial-Verlag). Mühlleitner, Elke (1992): Biographisches Lexikon der Psychoanalyse. Tübingen (Edition diskord). Mühlleitner, Elke/Reichmayr, Johannes (2003): Die "Wiener" Psychoanalyse im Exil. In: Aichhorn, Thomas (Hg., 2003a), S. 70-105. Nitzschke, Bernd (2003): "Gerettet" oder "zerstört" Psychoanalyse unter Hitler. In: Kaufhold/Löffelholz (2003a), S.121-144. Raines, Theron (2002): Rising to the light: A Portrait of Bruno Bettelheim. New York (Alfred A. Knopf). Redl, Fritz, & Wineman, D. (1951/dt.1984): Kinder, die hassen. München, Zürich. Reichmayr, Johannes (1990): Spurensuche zur Geschichte der Psychoanalyse. Frankfurt/M. (Fischer TB). Richter, Horst-Eberhard Richter (1963): Eltern, Kind und Neurose. Die Rolle des Kindes in der Familie. Reinbek bei Hamburg. Richter, Horst-Eberhard (2003): Psychoanalyse und Politik. Gießen. Roark, A. C. (1991): Hitting our Heroes When They're Dead. In: San Jose Mercury News, 9. März, S. 20f. Schwartz, Lawrence H. (1973): From Vienna to Seattle; Dr. Edith Buxbaum Remembers; Seattle Institute for Psychoanalysis. (Dieses Interview erscheint 2003 in einem von Hans-Jürgen Wirth herausgegebenem Band zur Emigration deutscher und österreichischer Psychoanalytiker in die USA (Psychosozial-Verlag)). Stadler, F. (Hg., 1987, 1988): Vertriebene Vernunft I, II. Emigration und Exil österreichischer Wissenschaft. Wien/München (Jugend und Volk). Sterba, Richard (1985): Erinnerungen eines Wiener Psychoanalytikers. Frankfurt/M (Fischer TB). Stork, Jochen (1977): Wenn es ein Paradoxon gibt. Vorwort zu B. Bettelheim: Die Geburt des Selbst. München, S. IX-XV. Sutton, Nina (1996): Bruno Bettelheim. Hamburg (Hoffmann und Campe). Wirth, H.-J. (2002): Narzissmus und Macht. Zur Psychoanalyse seelischer Störungen. Gießen (Psychosozial-Verlag). Wirth, H.-J./T. Haland-Wirth (2003): Emigration, Biographie und Psychoanalyse. Emigrierte PsychoanalytikerInnen in Amerika. In: Kaufhold/Löffelholz (Hg. 2003a) S.91-120. Roland Kaufhold, Dr. phil., geb. 1961, Dipl. Päd., Studium und Ausbildung zum Sonderschullehrer, Tätig an einer Sonderschule für Sprachbehinderte in Köln. Buchveröffentlichungen u.a. (Hg. ): Annäherung an Bruno Bettelheim, Mainz 1994 (für 13 über den Autor erhältlich); (Hg. ): Ernst Federn: Versuche zur Psychologie des Terrors. Material zum Leben und Werk von Ernst Federn, Gießen 1999 (Psychosozial Verlag); (Hg., zus. mit Till Lieberz-Groß): Deutsch-israelische Begegnungen, psychosozial Heft 83 (1/2001); Bettelheim, Ekstein, Federn: Impulse für die psychoanalytisch-pädagogische Bewegung, Gießen 2001 (Psychosozial Verlag). Mitarbeit in: David James Fisher (2003): Psychoanalytische Kulturkritik und die Seele des Menschen. Essays über Bruno Bettelheim, Gießen (Psychosozial-Verlag); Mithg. (2003): "So können sie nicht leben" - Bruno Bettelheim (1903 - 2003). Zeitschrift für Politische Psychologie, Heft 1-3/2003. Anschrift: Sülzgürtel 96, D-50937 Köln, Germany.